Civilizations have been erecting walls for different purposes since time immemorial. Marking the country’s border and safeguarding people are the major reasons why the ancient and modern civilizations built these walls. 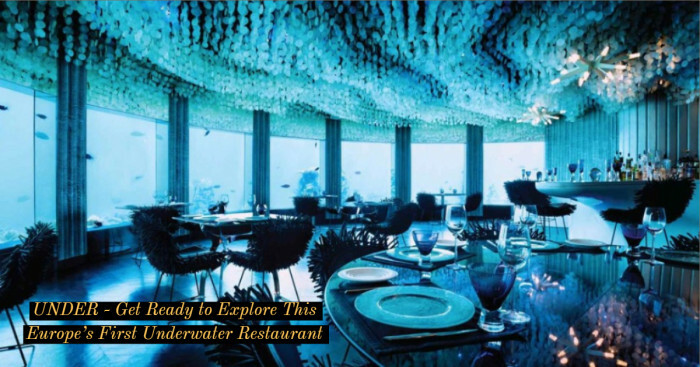 They have also been given an artistic angle and they stand as beautiful art structures and landscapes at some places in the world. Some of the walls are so impressive and colossal that they have made it to the eminent list of UNESCO world heritage sites. Adding to that, there’s one wall that holds such a great significance in the world history that it falls among seven wonders of the world. 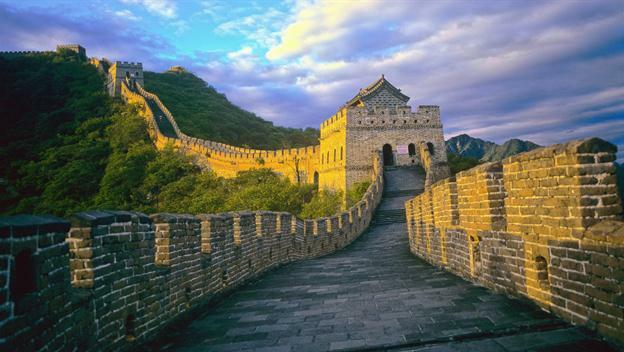 Read on here to know the 14 most famous walls in the world and their significance in the history. Constantinople is the historical name of the most populous city of Turkey Istanbul. Constantine the Great laid the foundation of the walls. 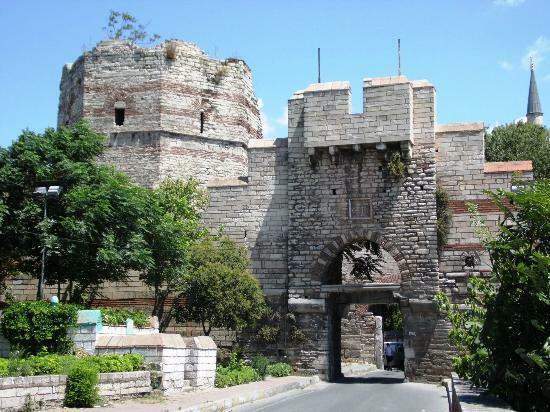 In ancient times, a series of defensive stone walls called ‘Walls of Constantinople’ were built to guard the city of Constantinople against the attacks from enemies through land or sea. Since the founding of Constantinople as the new capital of Roman Empire, many amendments and additions have been done to these walls. These walls that surrounded the city on all sides were one of the most intricate and elaborate fortification systems of antiquity built to-date. 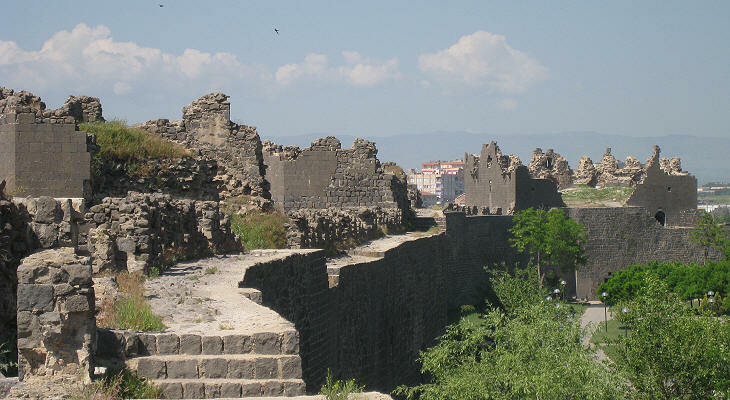 The sections of the walls remained largely unharmed at the time of the Ottoman empire. Later in the 19th century, the sections of the walls began to decline as the city expanded beyond its medieval boundaries. In spite of the lack of maintenance, numerous parts of the walls sustained and continue to stand even today. Since the 1980s, serious efforts have been made through large scale programs for restoration. Troy, now known as northwestern Turkey, is a legendary city. The semi-legendary author ‘Homer’ made Troy famous with his epic poem ‘Iliad’. And, he also said that this is where the Trojan war took place between Troy city’s defenders and the Greeks. Built to protect the city of Troy in the 13th century, the Walls of Troy has managed to survive even in the 21st century. Being one of the oldest and famous walls, it is a UNESCO World Heritage Site and witnesses a large number of visitors every year. This archeological site is highly commercialized as it has shops, a huge wooden horse as a playground for children and museum. 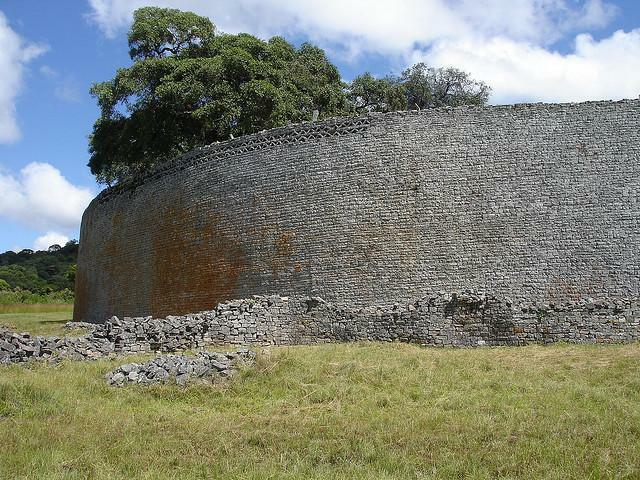 The Great Zimbabwe is a ruined city that currently spreads out over a large area in Zimbabwe. During the African Late Iron Age, it was the capital city of Kingdom of Zimbabwe. Begun in the 11th century by Bantu-speaking people, its construction took more than 300 years. The Great Zimbabwe Walls surrounded the city of Great Zimbabwe. Some of the walls were more than five meters high and were made without mortar. Great Enclosure is the extremely impressive edifice having walls as high as 11 m (36 ft) extending approximately 250 m (820 ft). That makes it the largest ancient structure toward the south of the largest hot desert, Sahara Desert. One of the largest cities in south-eastern Turkey named Diyarbakir is surrounded completely by 3.4 miles-long Diyarbakir Walls. The exteriors of the wall are built from black basalt rocks formed from the now-extinct Karacagad volcano. The 10-12 meters high and 3-5 meters thick walls have a Roman touch. 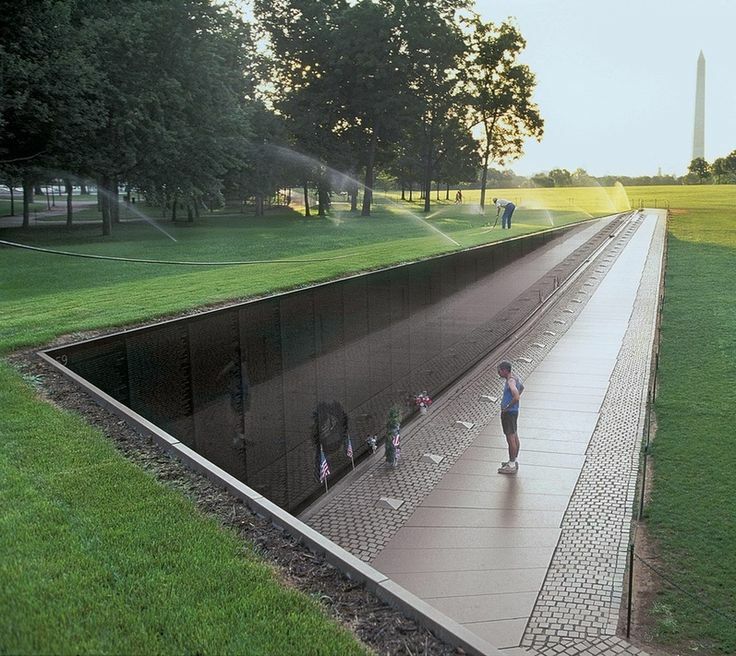 The Vietnam Veterans Memorial is a national memorial in Washington DC. Its centerpiece ‘Memorial Wall’ has the names of 58,256 US soldiers etched into two walls (made of black granite) that jointly form a ‘V’. The memorial serves as a tribute to the soldiers who either went missing or lost their lives during the Vietnamese war. The visitors to this wall often take a rubbing from the surface as a memory of those they have lost. As the designer of this wall ‘Maya Lin’ wanted the visitors to take something away with them, the visitors were invited to take the rubbings of their loved one’s devotion. 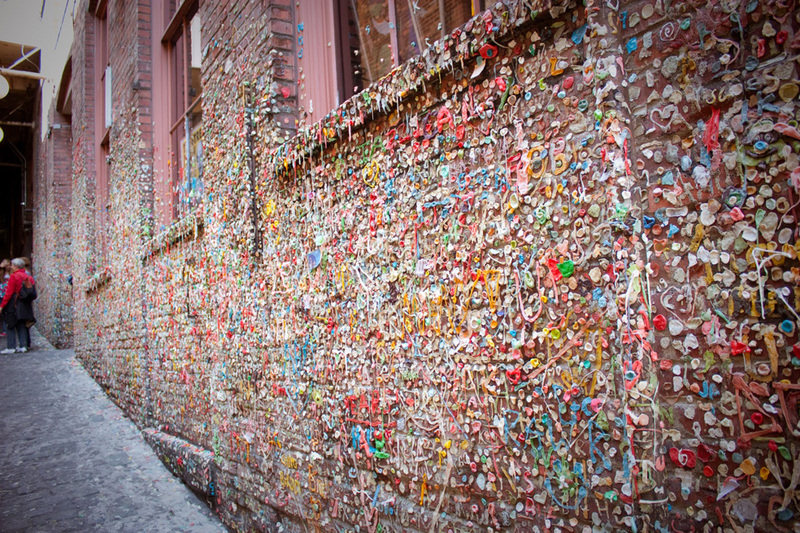 The Gum Wall is a brick wall in an alley in Seattle that was gradually covered by used chewing gum. The tradition began in 1993 in Post Alley under Pike Place Market. The wall can be covered up-to 15 feet high or even 50 feet. The Market Theater Gum Wall was deemed as a place of tourist attraction around 1999. 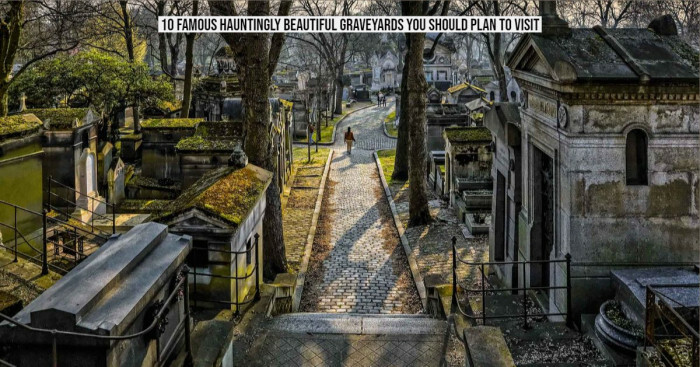 Later in 2009, it was also recognized as the second germiest tourist attractions in the world. On the 3rd of November 2015, Pike Place Market Preservation & Development Authority announced for cleanup and maintenance of the wall so as to prevent erosion of the bricks from sugar in gum. The work that began on November 10 took 130 hours to complete, removing over 2,350 pounds (1,070 kg) of gum. On November 13, re-addition of the gum to the wall began. 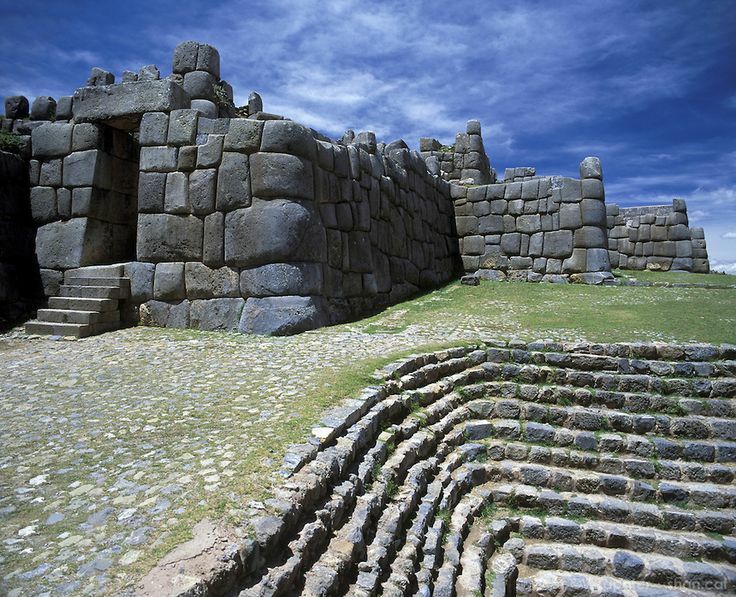 Sacsayhuaman is the walled complex built by the Incas in the north of Cusco, a city in Peru. 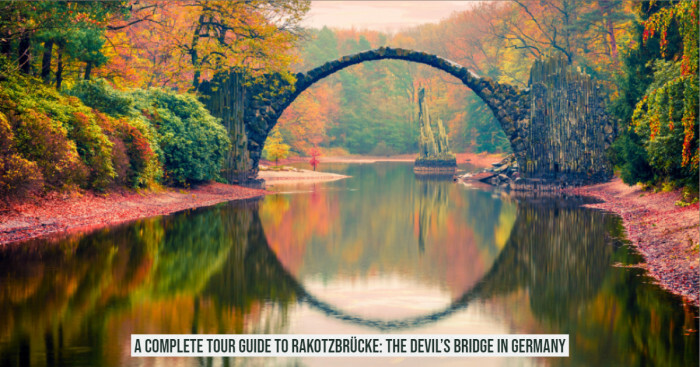 The complex is constructed from huge blocks of stone without any mortar to hold them together. The foundation of the magnificent city ‘Cusco’ was laid out in the form of a puma, the animal that symbolized the Inca empire. The main plaza formed the belly, the river Tullumayo its spine, and the hill of Saksaywaman represented its head. 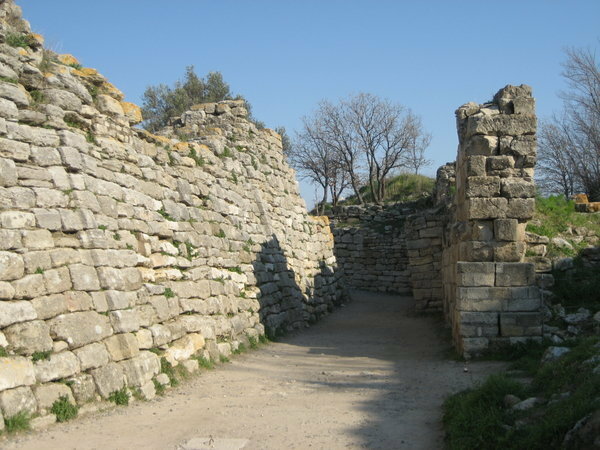 Three large-sized parallel walls made of limestone were built on different levels. It is said that the zigzagging walls represent puma’s teeth. The wall is built with such precision that not even a single piece of paper can fit between the stones. Such precision along with the interlocking patterns and the inward leaning of the wall are assumed to have helped the ruins sustain the earthquakes. This wall made it to the prestigious UNESCO World Heritage Site list in 1983. Also, it is among the ancient stone structures. 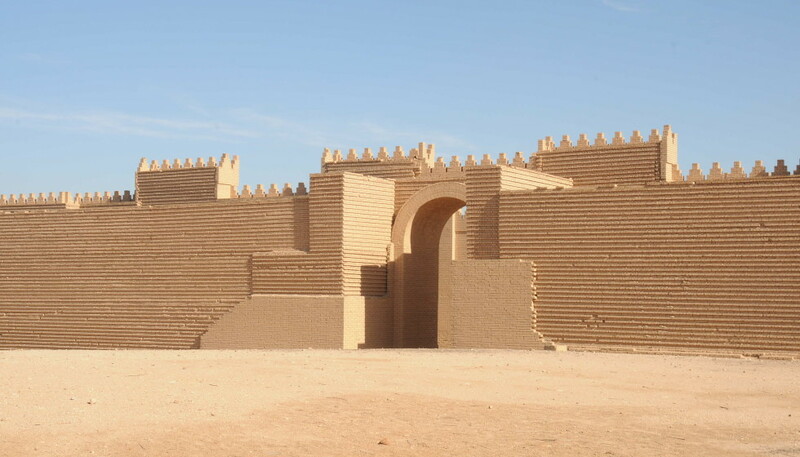 The Babylon’s Walls surrounded Babylon, the ancient city-state of Mesopotamia. They date back to 575 BC and can be found in modern Iraq, located about 85 km south of Baghdad. These walls also included the ancient Ishtar Gate at one time and were recognized as one of the original Seven Wonders of the World. They are assumed to be over 40 feet high and wide enough for chariots to race along. Later, Saddam Hussein made efforts toward the restoration of the wall. “I have gazed on the walls of impregnable Babylon along which chariots may race”. The Walls of Ston are a series of walls built in 15th century to safeguard the Croatian city of Ston from the Ottomans. This 5.5 km (3.5 miles) long defensive wall connected the towns of Ston to Mali Ston and protected the precious salt pans that were crucial to Dubrovnik’s wealth. 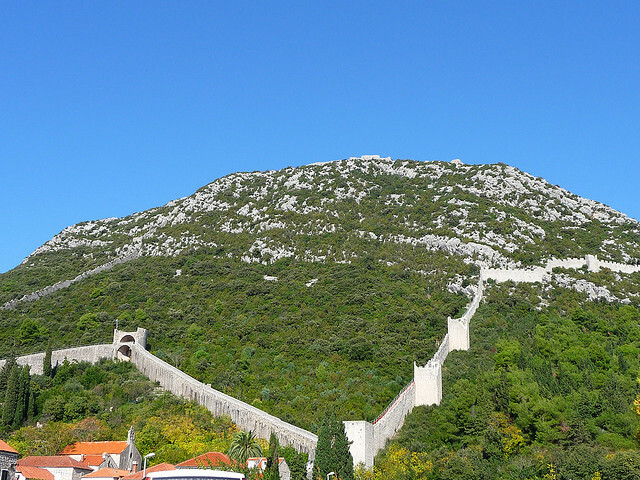 Located in Peljesac peninsula in southern Croatia, it is Europe’s second longest wall. They originally had 5 fortresses and 40 stone towers, of which 20 remain standing today. The Hadrian’s Wall is the Europe’s longest wall and among the most popular tourist attractions in England. 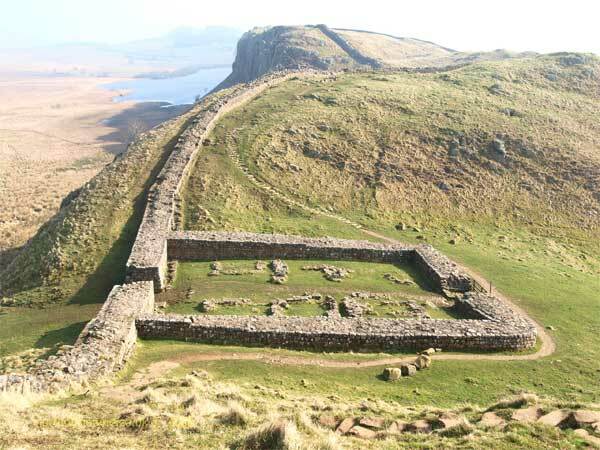 This wall constructed to by the Romans to protect their colony Britannia from the tribes in Scotland. Construction that began in 122 AD took 6 years to complete and the wall stretched across 117 km (73 miles). 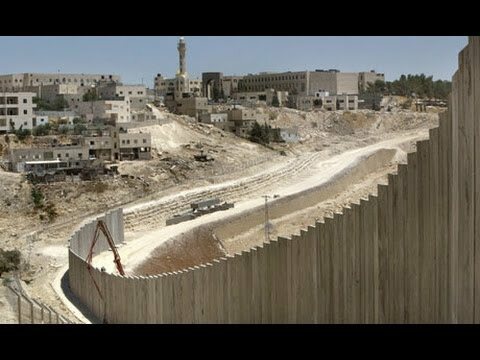 Israeli West Bank Barrier is a combination of wall and fence that was constructed with an aim to separate the Israeli and Palestinian populations. Its construction began in 2002 along the Green Line in the West Bank. While Israel considered it a security barrier against terrorism, Palestinians call it a racial segregation or an apartheid wall. The wall extended to 708 km (440 miles) long after completion. 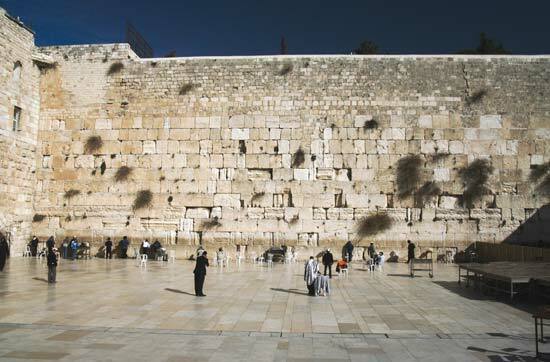 The Western Wall, also known as the Wailing Wall is a renowned Jewish religious site situated in the Old City of Jerusalem. The 17 courses below street level were built around 19 BC at the Second Temple period end and the remaining was constructed from the 7th century. It was revered as the only remnant of the Holy Temple in Judaism making it the most sacred place for Jewish people and one of the most visited tourist attraction in Israel. The Berlin Wall is a modern construction built in 1961 during the Cold War. The German Democratic Republic got it constructed in the middle of Berlin to prevent the fleeing of East Berliners to the west. Somewhere around 5,000 people tried to get past the wall and escape, that resulted in death toll. In 1989, it was finally taken down with the fall of Soviet Russia. 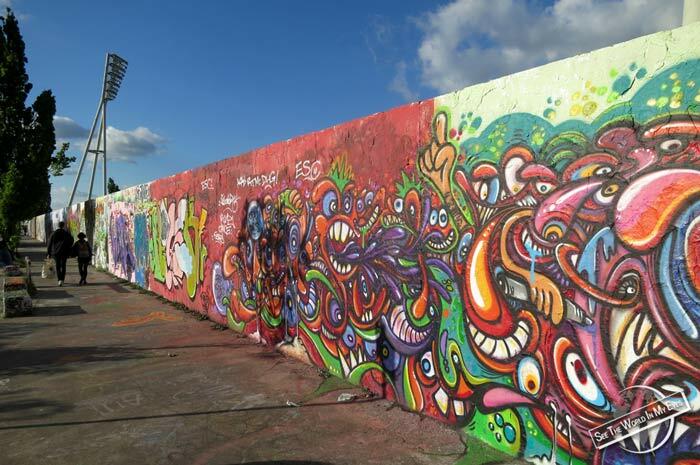 The remains of this famous wall can be found even today in Berlin and they are one of the most popular tourists attractions because of its vividly stunning graffiti art. The Great Wall of China was built along the old northern borders of China to protect the northern borders of the Chinese Empire from invasions of nomadic tribes from the north. The wall was built during the 5th century BC and the 16th century. Not many sections of the wall are in existence today, yet it is assumed that the wall was over 13,000 miles long at the time it was built. It is indeed the great wall and has been among the esteemed list of 7 Wonders of the World. Also, it is considered one of the Amazing examples of ancient construction.